Flowers have one outer ring of flat florets and an inner ring of collar florets (often in a different color) with a flat center disc. Flower size is approx. 3-4" / 7-10 cm in diameter. 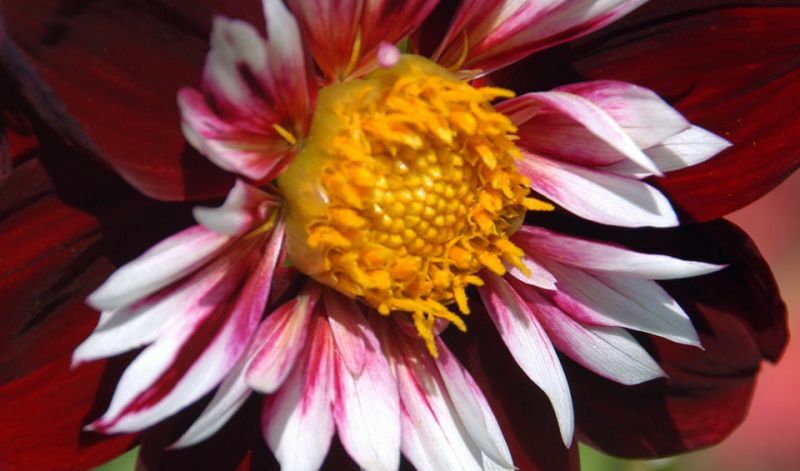 The shape combined with the colour combination of the flowers is what set these type of dahlias apart. Good for borders and (mixed) containers. 'Alstergruss' (orange-red & yellow), 'Bridesbouquet' (white), 'Esther' (bronze-orange & red-orange), 'Hartenaas' (pink & white), 'La Gioconda' (scarlet-red & yellow) and 'Pooh' (red & yellow).